Australia is a natural wonderland of beautiful beaches, crystal blue water, clean environment, amazing ancient rock formations and pristine rainforests. Most Australians enjoy an excellent standard of living, and good educational opportunities. Australia welcomes an increasing number of international students to study in our universities, institutes, colleges and schools. According to Australian Government Department of Education and Training in Data 2017, 799,371 international students enrolled at Australian Institutions and Universities. The majority of these students undertook courses in the higher education and vocational education sectors. That's why wherever you come from, you will find easily your local community in Australia. 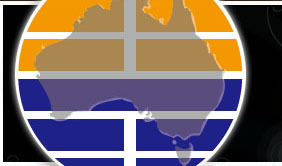 Australian Degrees and qualification are recognized internationally. Australian universities, vocational and technical education colleges and schools are world-class. And Australia is a world leader in English language courses for international students. As a multicultural country, Australia is safe with low crime rate, friendly, sophisticated and harmonious society. Career Opportunity. By possessing Australian qualification, you will have a great opportunity in finding employment globally as Australian qualifications are recognized internationally. In fact, many students have received job offered before they complete their studies.